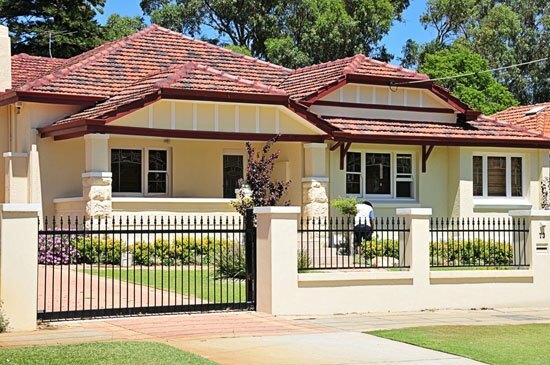 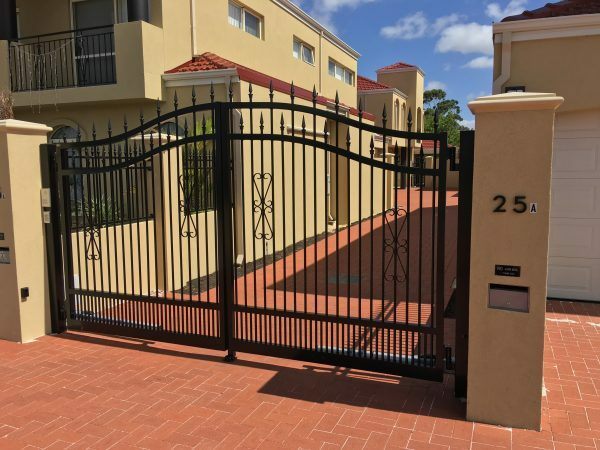 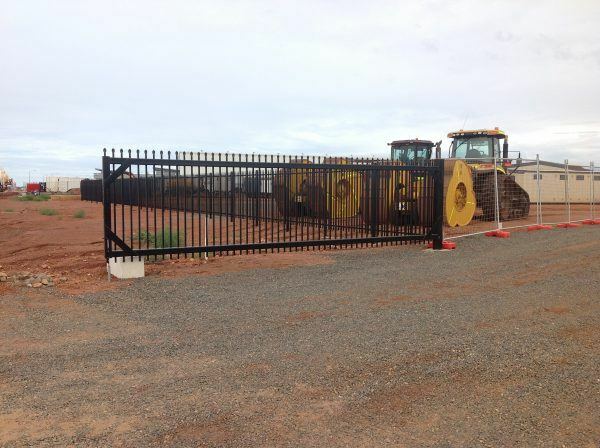 Our team of experts at Fencemakers manufactures and supplies custom designed metal and aluminium gates for commercial and residential clients in Perth and WA. 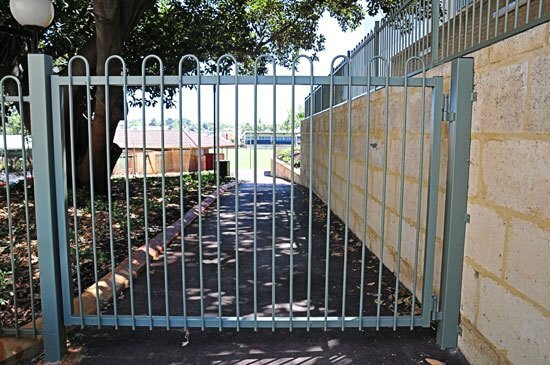 All of our aluminium gates are made with high-quality aluminium, as the thickness of the tubing used in our fences is a lot thicker than cheaper, imported products used by other Perth fencing companies. 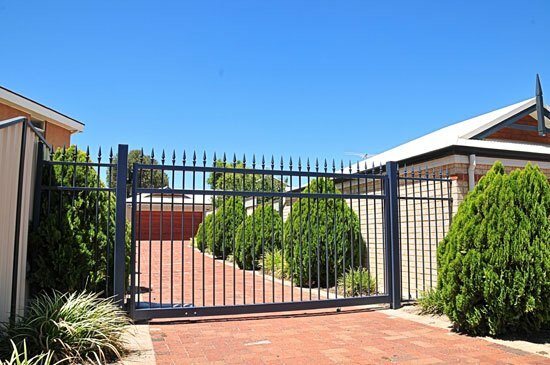 We ensure that our aluminium fencing is strong enough, and will always pass pool-fencing regulations. 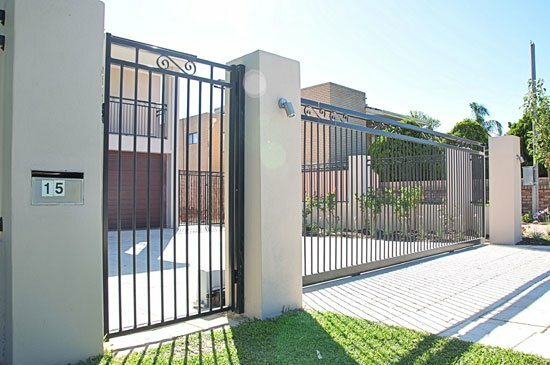 Many of our commercial and residential clients are choosing aluminium gates for their light-weight, easy-to-operate nature – particularly in areas where employees or family members will be entering and exiting through the gates numerous times throughout the day. 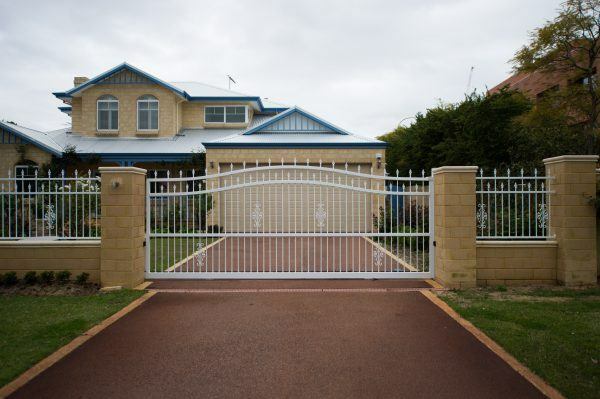 Aluminium is a highly weather-resistant metal – withstanding hot sun, UV rays, rain and wind, making it perfect for all types of Perth weather. 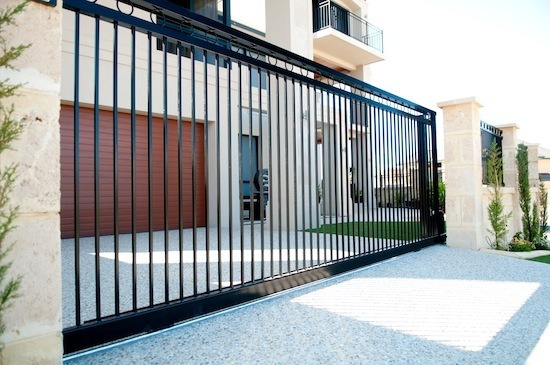 Aluminium is rarely affected by corrosion, meaning there is little need for maintenance or upkeep with an aluminium gate. 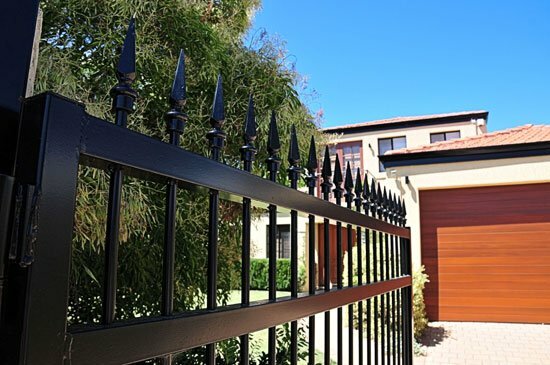 No extra coating or sealants are necessary from our standard powder coat finish. 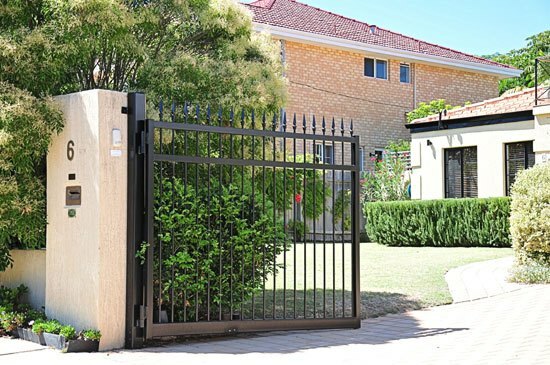 Although Aluminium is less dense than steel, making it slightly less effective if a high-security perimeter is required, customers who wish to install gates for decorative or privacy reasons often opt for aluminium gates as they can be more cost-effective than steel alternatives. 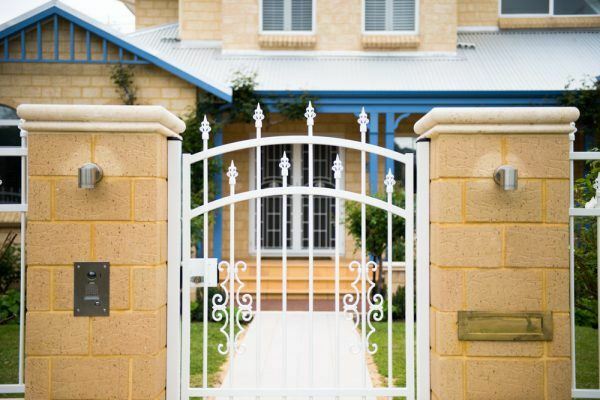 Our metal and aluminium gates can be powder coated in a number of colours to match your home or business design. 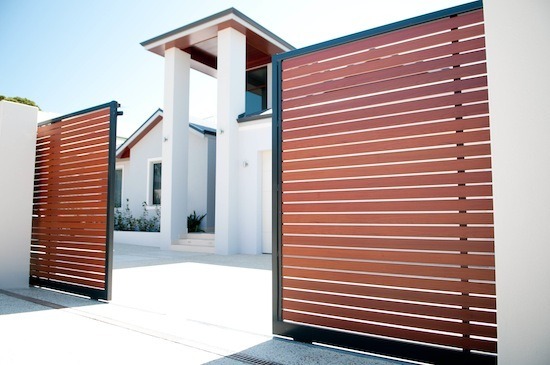 Our ‘Smartwood’ wood-look aluminium gates can give you that rustic timber gate appearance with all the durability and weather-resistance of a metal gate. 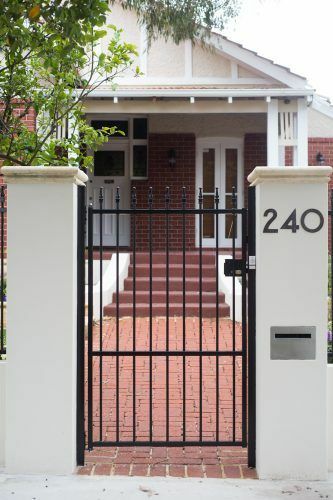 If tubular style gates aren’t your preferred style, we also offer other styles. 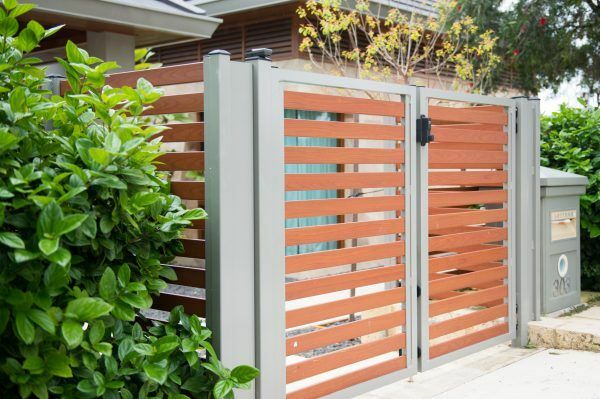 Feel free to check out our aluminium slats and panels, picket and smartwood fencing ranges! 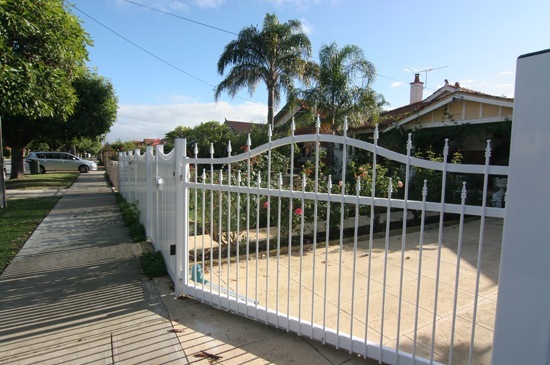 We can fabricate gates in any of these fencing styles. 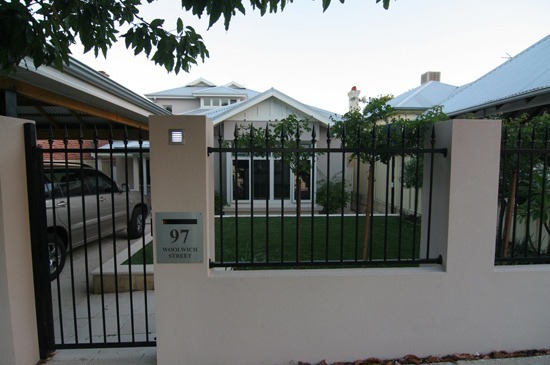 We can design, manufacture and install aluminium gates to fit your specific needs, or to match any fencing design you choose. 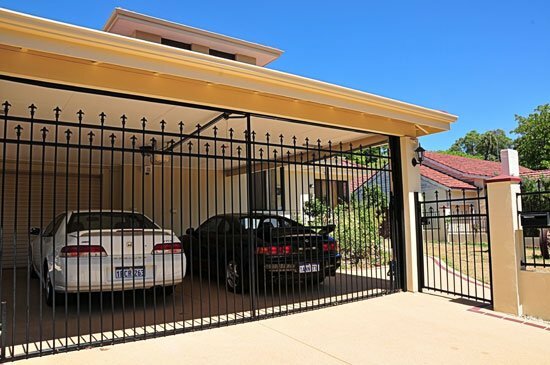 To talk through the style, design and measurements that would be right for your project, contact us today to discuss aluminium gates in Perth. 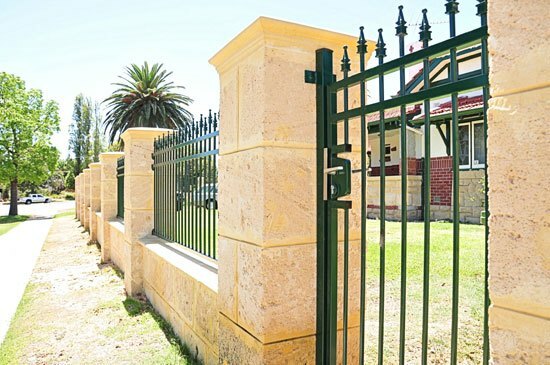 Or if you have a good idea of what you want for your project then request a free, no-obligation quote today.